Escape from a post-apocalyptic sewer system before you are captured by one of the sub-species inhabitants. 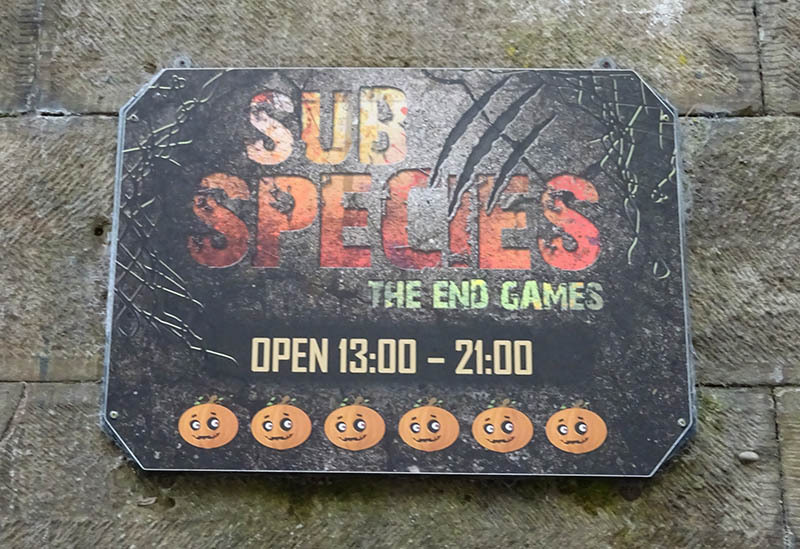 Sub Species set a new direction for Alton Towers scare mazes when it premiered at Scarefest 2015. It is the first at the event to have multiple routes to explore, and where guests are actively and continually split up from the rest of their group. The maze is set in an underground sewer system that is being inhabited by an alien species. These creatures feed on people from the surface, and through some twisted logic this has been turned into a bizarre reality TV style game show. Visitors become contestants, with bets being placed on their chances of survival as they make their way through the maze, choosing their own route and exploring different parts of the underground sewer.